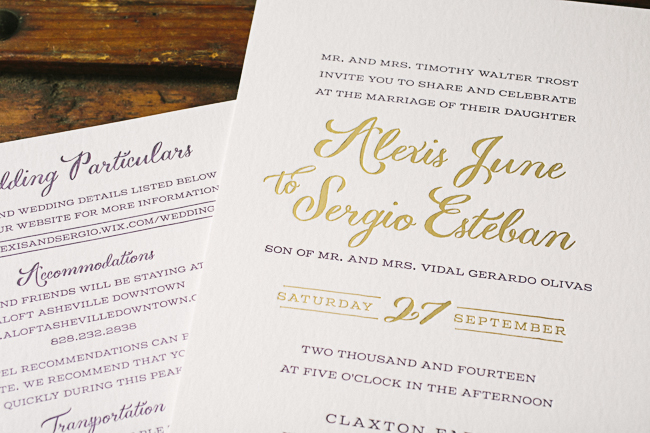 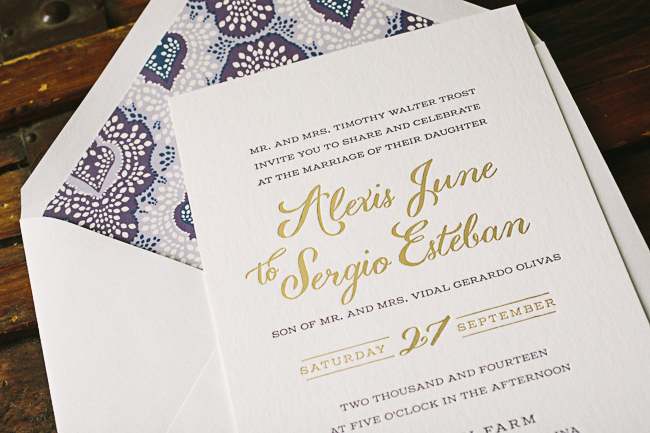 Letterpress printed in plum ink, Alexis and Sergio’s Barnesly invitations featured gold foil accents and our exclusive Ruby calligraphy font by Molly Jacques. 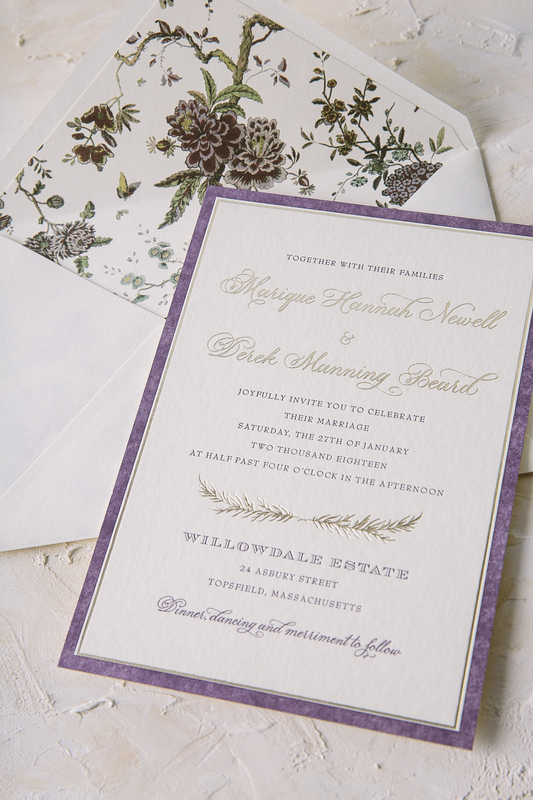 An informational ‘particulars’ card was included with the set to share details regarding travel and accommodations. 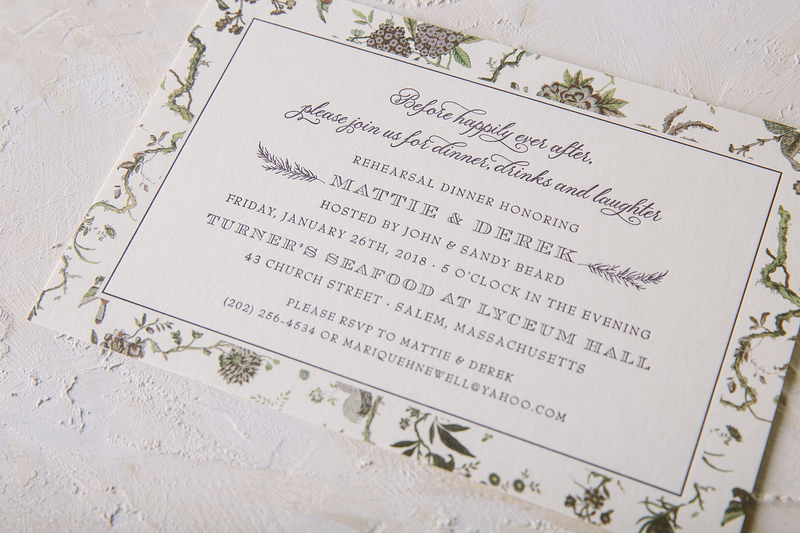 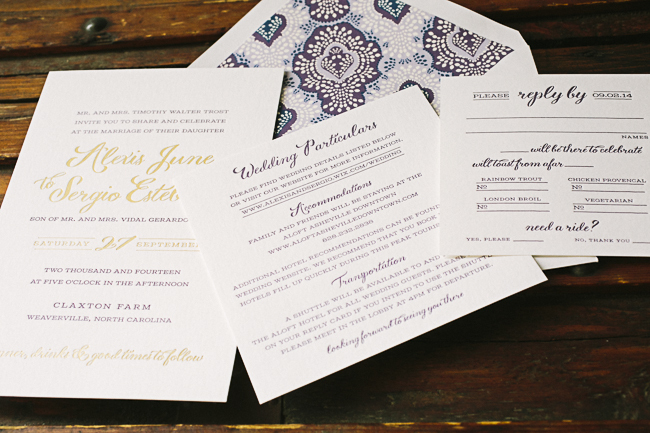 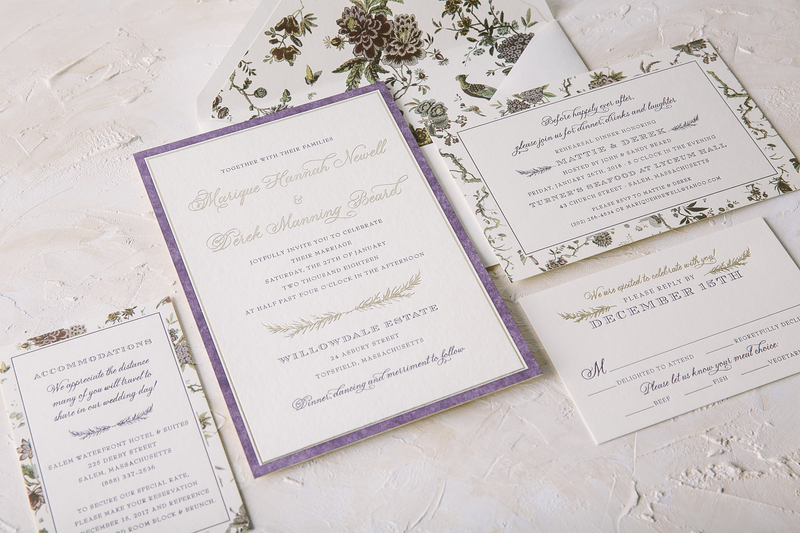 Rainier patterned envelope liners in plum, navy and lavender inks made for a memorable statement on these elegant letterpress wedding invitations.